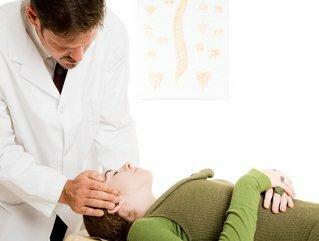 The chiropractic adjustment (spinal manipulation) is a skilled procedure that is unique to the chiropractic profession. Adjustments place specific amounts of force into the joints of the spine and other structures, such as a shoulder, wrist, or ankle for therapeutic purpose. These forces have a specific direction, velocity, and amplitude determined by joint architecure with the purpose to improve joint and soft tissue function and integrity. The cracking sound often associated with the adjustment is simply nitrogen and carbon dioxide gases being released from within the joint as the pressure is reduced quickly. The prodedure is usually painless. University and goverment studies have proven spinal manipulation performed by a chiropractor to be a safe and effective treatment for neck and back pain. This includes disc problems as well. If you have neck or back pain, consider chiropractic treatment first...not last!